Join us for a descent of 32 km with bivouac from Sauze. For your outings two days, PatouBateau concoct your meals consisting of two cold meals for lunches, grills for the evening barbecue at the bivouac and a basket of baked pastries for breakfast. All products are fresh for the happiness of your taste buds. When you arrive, our team will welcome you. 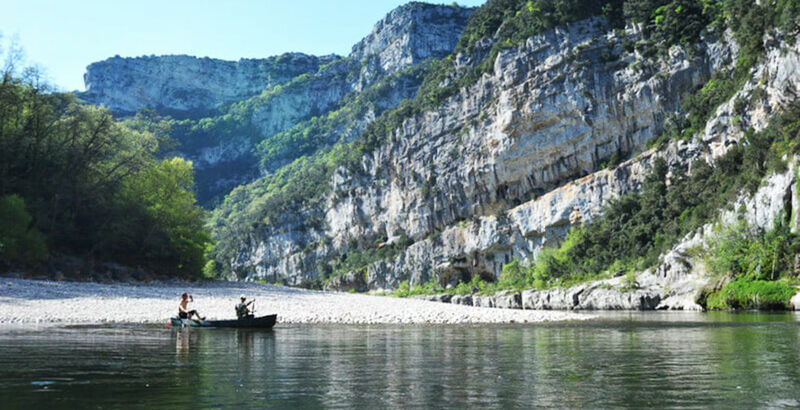 An instructor will give you an introduction to the canoe on the Sauze lake for beginners. You will then be transported by shuttle bus until the beginning of the descent. After sailing, you will arrive on the beach of Sauze. You can take a shower in our locker room and enjoy the spot. Our private parking for vehicles.